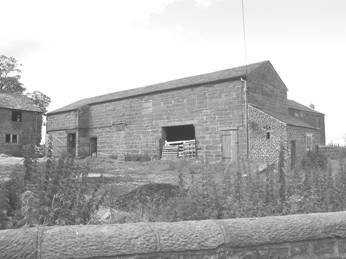 Macclesfield Borough Council has recently announced that non listed farm buildings will no longer be granted planning permission for conversion to residential use. The local authority has found that by calculating recently completed houses and outstanding planning permissions the authority already has what amounts to an 8 year supply of housing land. Yet the house building industry and landowners continue to bring forward windfall sites at a high rate. In response, the authority has decided to restrict granting planning permission for residential development, a move that includes the conversion of farm buildings. The move fits in with Government policy. Regional Planning Guidance for the North West , published in March 2003 proposed that house building in Cheshire should be reduced by 20%, during the period 2002-2016, to help support regeneration in the region’s metropolitan areas. Macclesfield also point out that PPG3 Housing, defines the conversion of agricultural buildings as green-field development that should not be permitted while brown-field sites are available. Residential conversions contribute little to the diversity of the rural economy and probably hinder the growth of small rural businesses. Exceptions to the moratorium will be made for conversions of listed buildings, where it can be demonstrated that housing is the only viable means of securing the future of the building. While the policy took effect from 4 September 2003, the resulting supplementary planning guidance will be subject to public consultation, which may result in an amendment or reversal of the policy. It is, in any case, intended to monitor the policy on an annual basis. Macclesfield are not the first authority to consider a moratorium on new build housing. Similar policies have already been adopted by West Lancs, Sefton, Chorley, S Ribble, and Ribble Valley . However not all of these policies are exactly the same. For example some authorities have not restricted barn conversions, while Ribble Valley have distinguished between housing and holiday lets. Summer is the season when government departments clear their desks and send out consultations, to be pored over and responded to, by the "footsoldiers of the historic environment". At least, this time, we have until the 31 October to reply to this important consultation. English Heritage should take over the designation of listed buildings rather than the department of Culture Media and Sport. It is expected that a White Paper will be produced in the spring of 2004 and a bid for legislation made in the 2004/2005 session of Parliament. DCMS are currently setting up 13 working groups to examine the practicalities of the consultation responses. I will be representing the branch at the NW regional seminar on the 22 September. The IHBC's joint Policy and Practice, and Consultations Committees have already considered the consultation paper, in some detail, and have expressed reservations about the proposals. English Heritage responsibility for national designation, was generally welcomed, but there was opposition to the possible migration of grade II buildings onto local lists. There was also concern about the resource implications created by the proposed statements of significance for existing buildings although they could be useful for new listings. Problems were also envisaged, as it is proposed that statements of significance should consider the extent of curtilage. The proposed use of management agreements is seen as very limited in application, while the pooling of conservation staff resources regionally was opposed; was this not a role EH was carrying out? And would local authority conservation officers be further marginalised with the more exciting work creamed off to regional teams? Anyway, good writing. If you wish to make comments, remember the deadline is the end October – and just think, what a good Halloween present your response would be for the policy writers at DCMS. The assessor looking at Liverpool's bid for world heritage status, spent a week in Liverpool in the beginning of September. The City Council have now produced a management plan for the world heritage site and it is currently out for public consultation. Copies of the consultation document can be obtained from John Hinchcliffe at the City Council. This year, the branch returns to Liverpool's Anglican Cathedral, this time to investigate the quality of public spaces in historic areas. The character of historic cities, towns and villages is defined by the nature of their public spaces. People use spaces that make them feel good, and a well-used space will bring activity and success. Thus the public realm is vital to the social and economic well-being of communities, and an important ingredient of the urban renaissance. Yet all too often our streets, parks and public places are poorly presented and maintained. 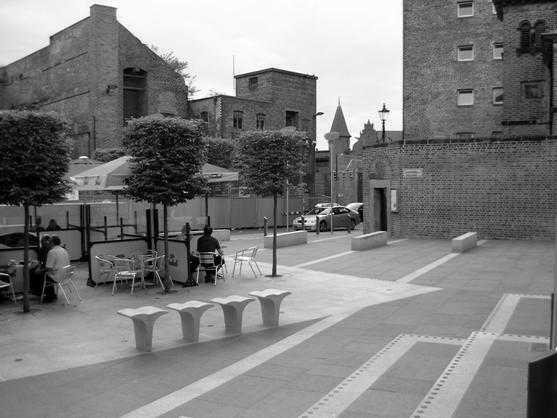 Whilst the problem of urban clutter and the erosion of local distinctiveness has long been recognised, a lack of integrated townscape management has also hampered good design and prevented the adoption of a strategic approach. The conference will demonstrate how we can create a public realm that is safe, attractive and enjoyable, and how the principles of good practice can be applied to common highway problems. Speakers will emphasise the role of good streetscape design in urban and rural regeneration, and the benefits of a holistic management approach. Special focus will be given to innovative solutions through a series of case studies from across the north of England, and these will be complemented by walking tours to look at current public realm projects in Liverpool. The event will be of interest to planners and architects, urban and landscape designers, conservation officers, highway engineers, transport consultants, developers, and all those involved in the care and conservation of the historic environment. Until very recently the Northwest was notable for its lack of garden trusts, a situation that was recently rectified in Cheshire and it hoped that Lancashire will soon follow. Nationally, the Association of Garden Trusts has 7500 members, engaged in research, documentation, care and promotion of designed landscapes, parks and gardens. Trusts already exist in 33 counties. and Cheshire is the latest to be established, based on pre-1974 county boundaries. In Cheshire the focus is broad, and while interest includes well known gardens such as Tatton Park, other types of gardens such as cemeteries, memorials, market gardens, urban parks, institutional and industrial parkland, such as Jellicoe’s Cadbury site in Moreton, are also valued. The trust will be organising seminars, conferences, and garden visits; as well as advising owners, developers and local authorities on issues related to restoration, conservation, listing and grant applications. The trust will also provide educational advice for schools and interest . A series of visits and talks are now being planned for winter 2003 and for 2004. Gardens have been taking an increasingly important role in terms of social, cultural, educational and economic strategies. The Northwest Development Agency has identified gardens as a key economic regenerator for the rural economy; while Cheshire County Council has designated parks and gardens as the county’s unique selling point. Furthermore, in January, the Cheshire and Warrington Cultural Consortium identified gardens as a major strength in their report ‘Gardens as a Source of Cultural Prosperity’. At the same time, new collaborative projects between international partners such as the European Garden Heritage Network (EGHN), are increasingly placing the county’s gardens in the international spotlight. Its honorary patron is Viscount Ashbrook of Arley Hall. 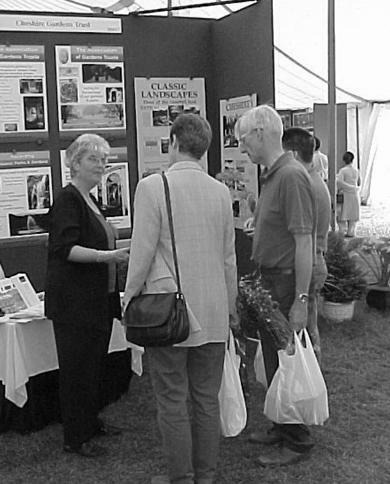 Cheshire Garden Trust will be an officially launched in April 2004. A new regional branch of the Twentieth Century Society was set up in the spring of 2003. The group was set up as a response to the feeling that many of the Society's events were based in and around the south east. The group meets monthly at the Briton’s Protection pub in Manchester and already has a full diary of events. 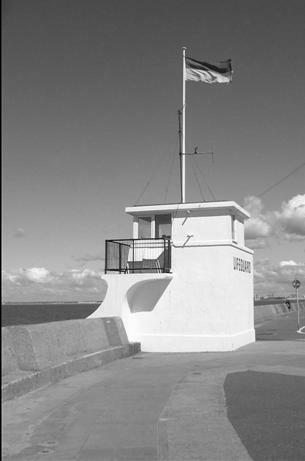 The group will be visiting Blackpool in October to look at The White Church and the exteriors of some private houses including George Formby’s. In November the group will be looking at cold war architecture around Crewe. Further visits are planned for Liverpool and south Manchester Churches. The group have already made their presence felt. Member, Simon Green was instrumental in getting Appleby Lodge listed. Found on Wilmslow Road Manchester, Appleby lodge was built in 1939 to the designs of Peter Cummings. It was home to many artists and musicians including the former conductor of the Halle Orchestra, John Barbirolli. Cummings was also responsible for the Apollo in Ardwick Green. This summer the government has embarked on consultations regarding the use of broadband and the resulting need for even more satellite dishes. One method of delivering broadband is via a satellite. Unfortunately the satellite dish required for broad band is not the same as for television and is likely to result in many householders wanting two dishes. Consequently, the IHBC has advised the government of its concern about impact of the broadband on listed buildings and conservation areas, particularly as there did not appear to be any mention of such matters in the consultation document. There will be greater difficulties securing locations for digital rather than analogue satellites dishes. Satellite dishes are constrained in their location by the direction and elevation of satellites. Although the size of the digital dish is smaller, the lower elevation of the satellite will force dishes to be put in into more prominent locations, particularly in dense urban locations. Chimneys and roofs as being the second most prominent locations. Each option within the consultation document allows the height above the roof or chimney to be extended by progressive amounts. However dishes, not above the highest part of the roof, can also be obtrusive to the street scene. 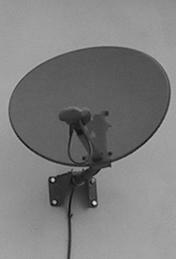 As a design principle the IHBC believe that the dish or antenna should be placed at the lowest point on the roof consistent with obtaining a line of sight with the orbiting satellite. The proposed concept of permitted development requiring the dish or antenna to not only front but also to be visible from the highway brings considerable subjectivity to the situation. For instance, is the viewing of a dish to be from directly in front of the building or from angled views from adjoining properties. Impact on sensitive locations is not only affected by size but also by shape, colour and material. Unfortunately, the design and size of future antenna and dishes are currently not known, which makes it difficult to visualise the full extent of the likely problem. Without understanding this, it is difficult for the IHBC to comment fully on the reasoning behind the proposed boundary between permitted antenna and those requiring specific permission. While listed building consent would be required where the proposals affect the character of a listed building, in conservation areas the situation may not be so clear. Alternative solutions may also be less than ideal as wireless antenna depending on the size and shape will also have some impact on historic areas. It is also unclear what will happen if trees are subsequently cut down to obtain a clear line of sight, whether in front of the property or on adjoining plots. This could affect many areas outside conservation areas in the absence of tree preservation orders Therefore the Institute has advised that only if buildings are 30m’s from the highway should permission not be required. The degree of effective control should be related to the possibility of realistic enforcement. Even the most sensitive areas, such as Port Sunlight, the rapid growth of satellite dishes has had an adverse impact but the resources of the authority are limited to the extent that action has only been taken on the worst cases. Dave Chetwyn has responded to the government on behalf of the Institute. Cheshire County Council is carrying out the Historic Landscape Characterisation (HLC) of Cheshire, as part of a national programme developed and funded by English Heritage. This work complements that of the Historic Towns Survey, which assessed the archaeological and historic development of Cheshire’s towns. The project is due for completion in October 2004 and encompasses Cheshire, the unitary authorities of Halton and Warrington and the metropolitan borough of the Wirral. The HLC dataset can be analysed to produce broad or detailed historic landscape classifications. The results are displayed through a Geographic Information System to produce map based interpretative models. The classifications will be used as a tool to make informed decisions on conservation and development proposals from a strategic level, feeding into the review of Cheshire’s Areas of Special County Value and Cheshire’s Landscape Character Assessment, to a more local level, through Local Plans and Agri-Environment schemes. The project will assist in the identification of key landscape types and the recommendations for their future management. As part of the programme the project team, based in the Environmental Planning Service, will be undertaking a consultation exercise with district and county council planning and conservation officers to present the project concept and obtain feedback on how the information can be presented in a format which can be used easily in decision making. The half day session will be held at The Environmental Planning Service offices at Backford Hall, Chester on the 7th October. The session will begin with a presentation by Jo Clarke, Historic Landscape Characterisation Project Officer for Lancashire CC, who will talk on the National HLC Applications Review undertaken by Lancashire CC on behalf of English Heritage. This will be followed by an introduction to Cheshire’s Historic Landscape Characterisation, followed by a discussion into methods of display and dissemination chaired by Adrian Tindall Principal Archaeologist for Cheshire CC. For further details contact Rob Edwards Project Officer ((: 01244 603667 *: edwardsrobert@cheshire.gov.uk). Members will recall Graham Arnold's determination not to remain as branch chairman after last years AGM. This year he means it! Graham stepped into the breach following Sheila Stones departure to London. Due to other commitments Graham is now finding it impossible to continue and a replacement is urgently sought. Graham also represents the branch on the National Committee and a replacement is also sought for that position (which does not have to be the same person). If anyone is interested in either of these positions, they do represent an excellent opportunity to hang out with the big knobs. Furthermore, experience or competence is barely necessary, because frankly we're desperate. Expenses are payable. Graham has agreed to continue until the AGM in December. Vale Royal Borough Council, in Cheshire, offers the opportunity for students to gain work experience in its Built Environment Service. The service deals with the conservation of historic buildings and areas, including interpretation, and urban design. This allows a flexible approach to the placement's discipline to be adopted. Contributors :Graham Arnold, Keith Parsons, Ed Bennis, Eddy Rhear, Rob Edwards.